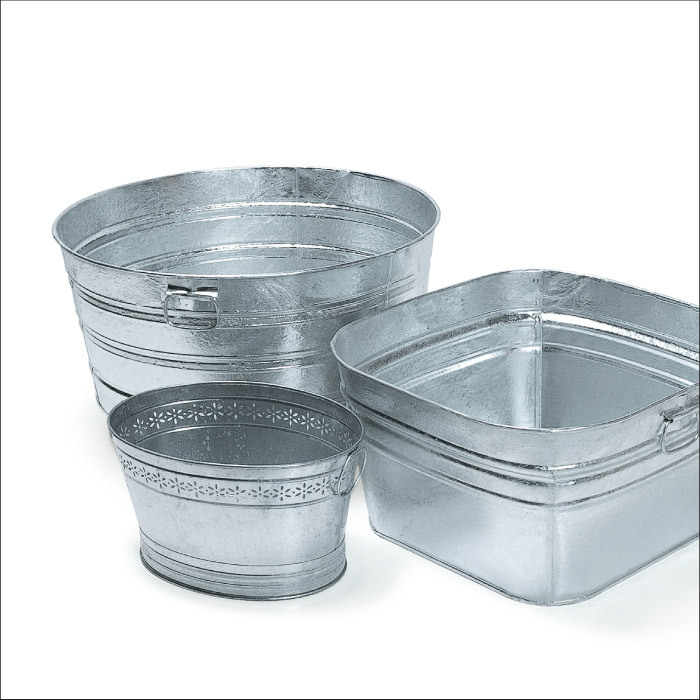 Galvanized steel tubs are great for keeping drinks on ice at outdoor get-togethers. They’re easy to customize, too. We painted our tubs with chalkboard paint, so they can display messages to fit any special occasion. Prep for Success. Start the project by using 240-grit sandpaper to roughen the areas that you want to paint. Then thoroughly clean the entire tub, and use tape to mask off the areas where you want the bare metal to show. 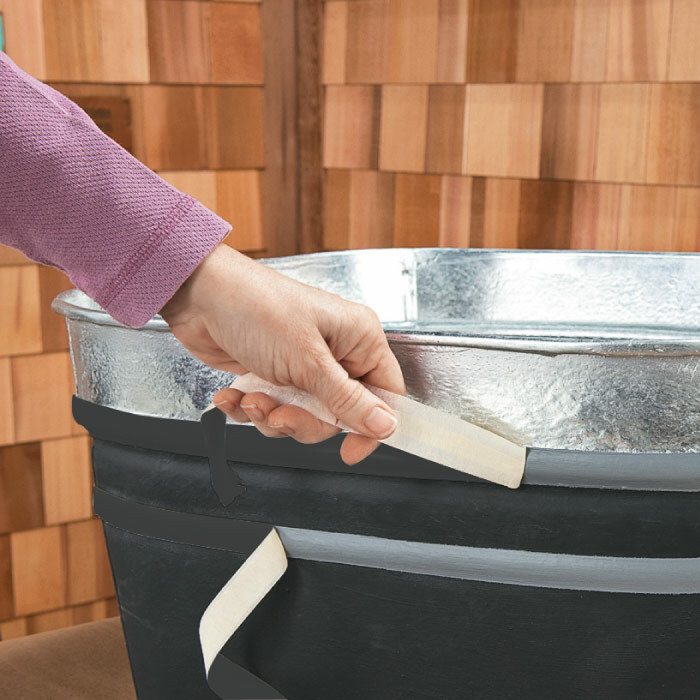 After sanding and cleaning the tub, you’ll need to apply exterior latex primer to the portions that you will paint. 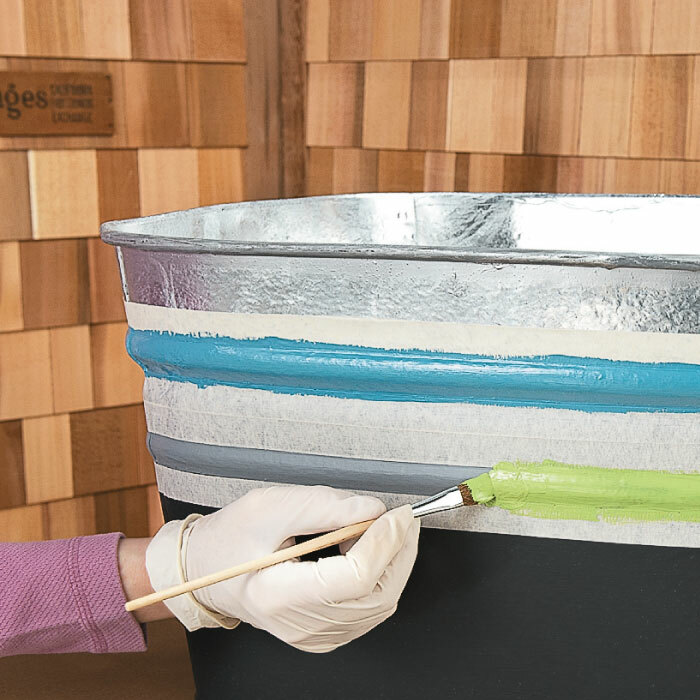 When the primer is dry, apply masking tape over the tub’s ridges. Then brush on two coats of chalkboard paint. 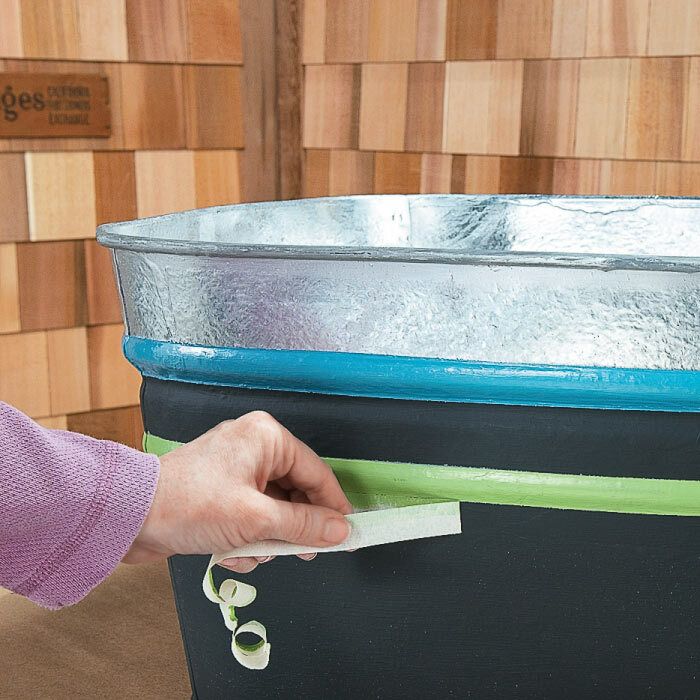 Remove the masking tape from the tub’s ridges to reveal the primer coat. Brush on paint hues that accent your outdoor decor. Just tape off the chalkboard areas before painting the colorful stripes. Peel off the tape as soon as the paint has set up. This will result in cleaner edges than if you had waited for the paint to completely dry. Chalkboard labels take only moments to create, and they wipe off easily. 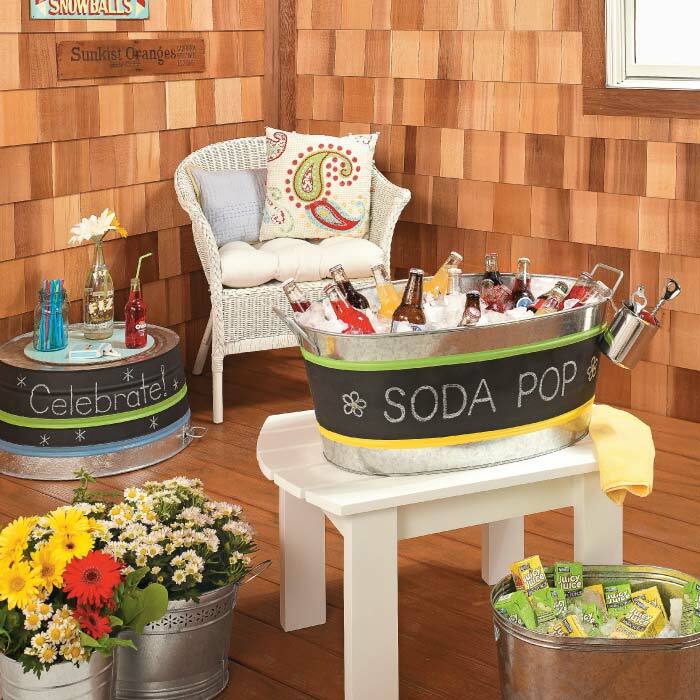 The personalized tubs are perfect for parties – or to present as gifts.